Modern midwifery is a combination of an ancient art, medical knowledge, and research. When it comes to things like ultrasounds, a midwife is more likely to have two to three ultrasounds in the whole pregnancy. Part of that is that we are taught to use our hands to check the position of the baby. When a baby is inside the mother, the relationship between the mother is very beautiful because it is inside the mother. An ultrasound, while beneficial at times, can almost displace that into a voyeristic relationship at times. A midwife can lay her hands on the mother's belly and say, "This is the head. This is the baby's feet." The mom says, "Yeah, I feel my baby kicking me there, actually." I was thinking that might be the feet. You are supporting this internal relationship, which is very, very beautiful. When a midwife can palpate the baby's position, it can strengthen the relationship. 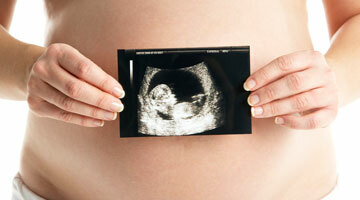 An ultrasound, while sometimes useful, does not need to be used at every visit. Naomi Hannah is a midwife who has worked in several birth settings: she has been a Doula, a Certified Professional Midwife, a labor and delivery nurse, and is now a Certified Nurse Midwife. Naomi has approached the many facets of birthing from various angles; a birth center, a home birth practice, and currently a hospital-based practice. She lives in Taos, New Mexico, with her partner of 13 years and their two children, Eden who is 10 and Ezra, seven, both born with the help of known donors. Her personal experience and professional skills have made it possible to help other women conceive at home with alternative insemination. She is also a singer-songwriter who has taught preschool music classes. She enjoys sharing music with her children and watching their musical language unfold.